Banks in Germany are divided into three separate tiers: private banks, publicly-owned savings banks (Landesbanks), and member-owned credit unions. The German banking system is made up of almost 1,800 banks, which include 200 private banks, 400 publicly-owned banks, and 1,100 member-owned credit unions. According to Moody’s, the country’s banking system is stable, due to the country’s resilient economy and low unemployment, which help banks in Germany maintain solid financial fundamentals. For anyone considering a career in banking in Germany, this list of top banks in Germany is a helpful guide on where to start. To learn more, see our lists of financial institutionsCompaniesLists of the main players in corporate finance. We've got lists of the most important financial services companies, banks, institutions, accounting firms, and corporations in the industry. Browse these guides to prepare for a career in financial services and start networking today to accelerate your career. Founded in 1870, Deutsche Bank is the largest of the banks in Germany and one of the top banking and financial services companies in the world, with an extensive presence in Europe, the Americas, the Asia-Pacific region, and many emerging markets. The bank’s core business is investment banking. It also provides services in the areas of sales, trading, research, origination of debt and equity, M&A, and risk management. Headquartered in Frankfurt, the bank employs around 100,000 staff. In 2016, the bank reported a total income of US$35.4 billion and total assets US$1.88 trillion. Founded in 1870, another of the oldest banks in Germany, Commerzbank provides retail and commercial financing services, investment banking services, asset management, and private banking services. Based in Frankfurt, the bank employs around 49,000 staff and serves 17.5 million customers in 50 countries. As of 2016, the bank’s total income was US$15.94 billion and total assets were US$513.07 billion. Founded in 1948, KFW Bankgruppe is a Government-owned development bank. Kreditanstalt Fuer Wiederaufbau – KFW operates as a promotional bank. It provides financing for investments, projects by German and European companies, and for economic and social initiatives in developing countries, as well as advisory services. KFW funds its business activities through the international capital markets, raising US$85.84 billion in 2016. It is considered by many to be the safest bank in the world. It is present in Frankfurt am Main, Berlin, Bonn, and Cologne. Globally, it manages 80 local and representative offices. The bank currently employs around 5,900 staff. As of 2016, the total income of the bank amounted to US$2,237 million and total assets reached US$598 billion. DZ Bank is an acronym for Deutsche Zentral-Genossenschaftsbank, meaning cooperative bank. Founded in 2001, the bank serves as the central institution for more than 1,000 co-operative banks in Germany. Headquartered in Frankfurt, it employs around 29,300 staff and serves 16 million customers. The bank currently operates in Berlin, Düsseldorf, Hanover, Koblenz, Munich, Munster, and Stuttgart, as well as in London, New York, Hong Kong, and Singapore. In 2016, DZ Bank reported total income US$7.2 billion and total assets of US$600 billion. Founded in 1955, UniCredit Bank AG offers personal and commercial banking products and services in Germany, the United Kingdom, Italy, Luxembourg, the rest of Europe, Canada, the United States, and Asia. The bank currently employs 85,000 staff and serves 11 million customers through its 1,150 branches. As of 2016, the bank’s total income was US$6.3 billion and total assets were US$938 billion. Established in 1999, Landesbank Baden-Württemberg is both one of the universal banks and a commercial banks in Germany. It is headquartered in Stuttgart and currently employs around 10,840 staff. The bank’s business model is based on five pillars: corporate customers, private customers, savings banks, real estate financing, and capital markets. As of 2016, the bank’s total income amounted to US$3.1 billion and total assets reached US$287 billion. Founded in 1884, BayernLB provides various banking services to large corporations and Mittelstand companies, real estate customers, financial institutions, asset management customers, and the public sector in Europe and the United States. Headquartered in Munchen, the bank employs around 7,000 individuals. In 2016, the bank reported an income of US$1.6 billion and total assets of US$250 billion. 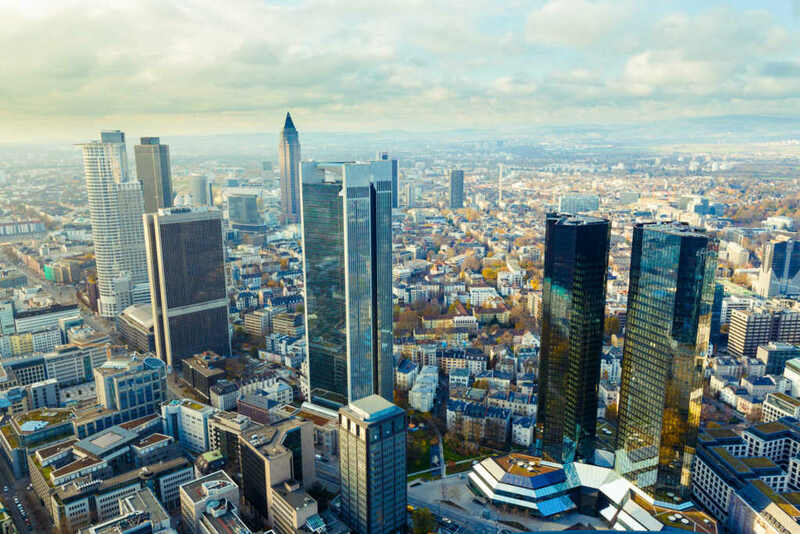 Established in 1970, Nord/LB provides financial services to private, corporate, institutional, and public sector clients in Germany and other countries. Headquartered in Hanover, the bank employs around 6,400 staff. As of 2016, the bank’s total income was US$2.3 billion and total assets were US$205 billion. The bank is a Landesbank offering financial services to companies, banks, institutional investors, and the public sector. It also acts as a central clearing institution and also services 40% of the savings banks in Germany. Headquartered in Frankfurt, it also operates branches in Berlin, Stuttgart, and Munich. Internationally, it is present in Paris, London, New York, Madrid, Moscow, Shanghai, and Stockholm. Founded in 1953, the bank employs around 6,000 staff. Apart from its subsidiaries (Helaba Invest Kapitalanlagegesellschaft, Frankfurter Bankgesellschaft and the OFB Group), the group is also comprised of online banks 1822direkt, LBS Hessen-Thüringen, and WIBank. As of 2016, the bank’s total income amounted to US$636 million and total assets reached US$193 billion. NRW Bank is a state development bank headquartered in Dusseldorf. Founded in 2002, the bank operates through its Programme-based Promotion, Other Promotion/Liquidity Management, and Staff/Services segments. It provides low-interest promotion loans, as well as equity financing and advisory services. It is also involved in treasury services and capital markets business, including municipal loans. In 2016, the bank reported a total income US$263 million and total assets of US$167 billion. Top banks in BahrainTop Banks in BahrainThere are more than 114 banks in Bahrain, including 23 retail banks, 69 wholesale banks, 2 specialized banks, as well as 36 representative offices of overseas banks. The country’s banking system consists of Islamic banks and conventional banks. Bahrain is the financial hub of the Middle East.